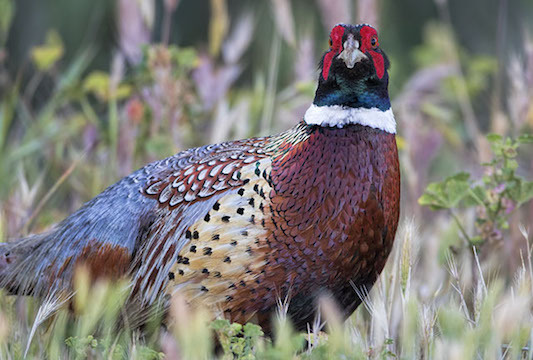 Male ring-necked pheasants are extremely colorful (one might even say 'garish'), but females -- like the one at upper left -- are highly camouflaged so they can safely incubate eggs in their ground-level nests. 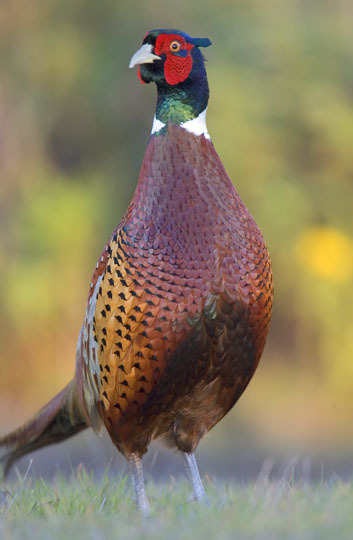 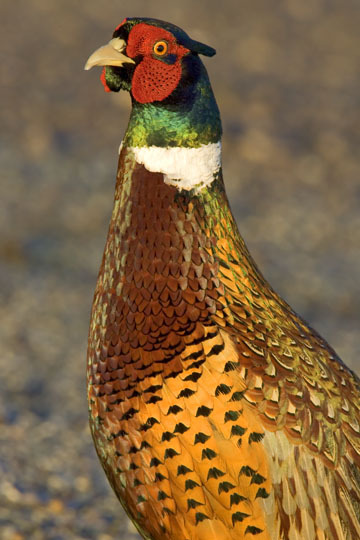 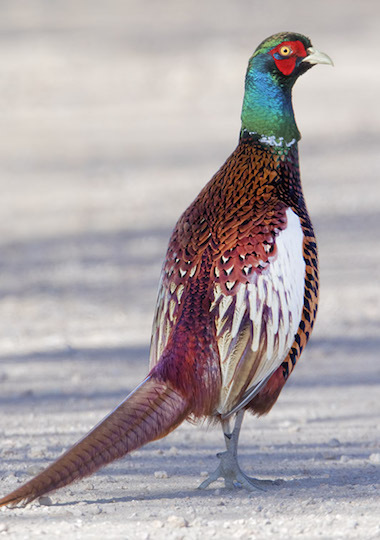 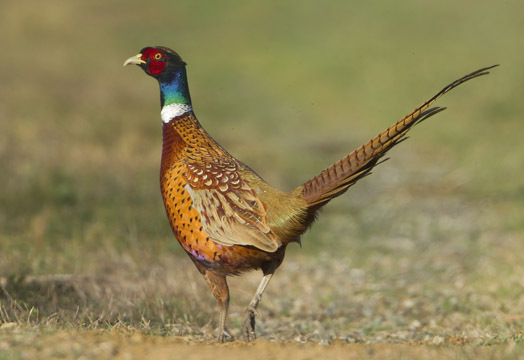 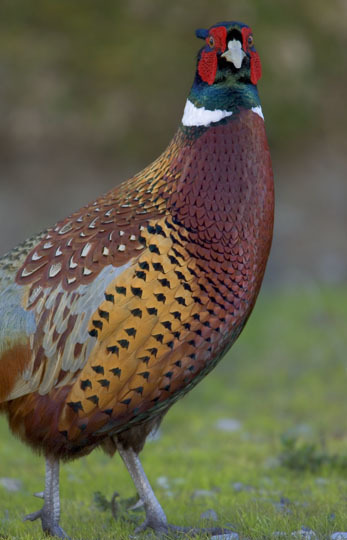 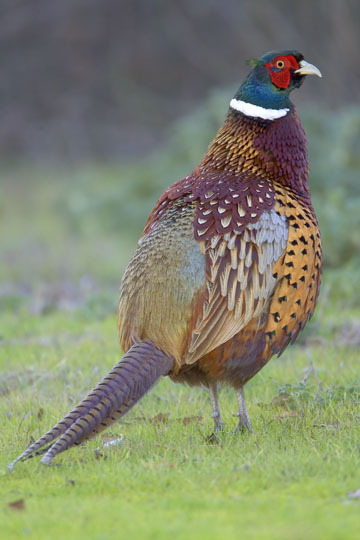 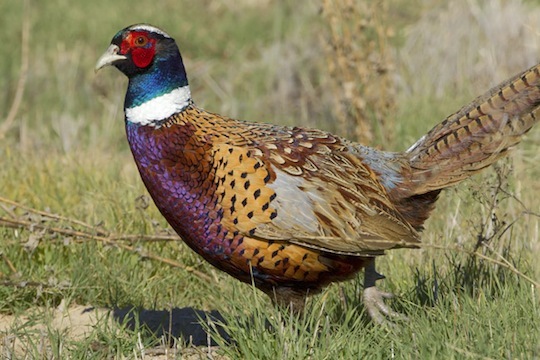 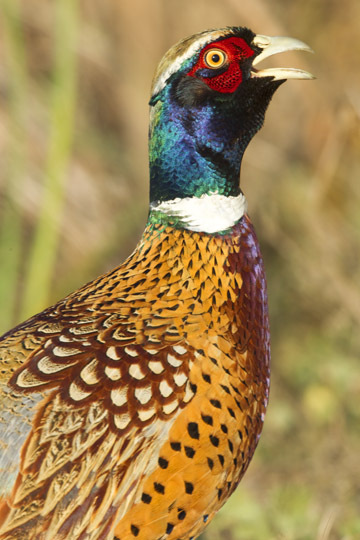 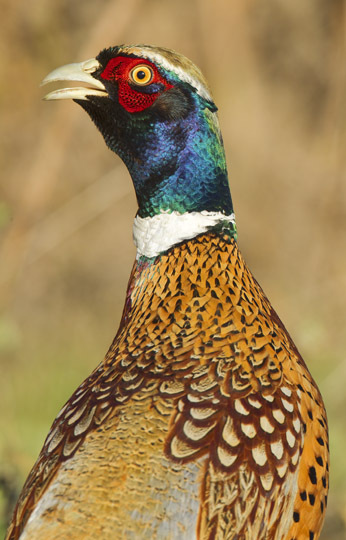 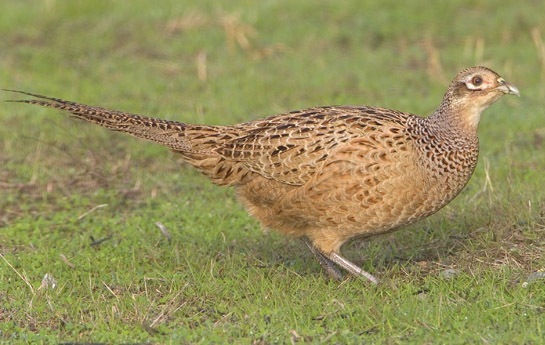 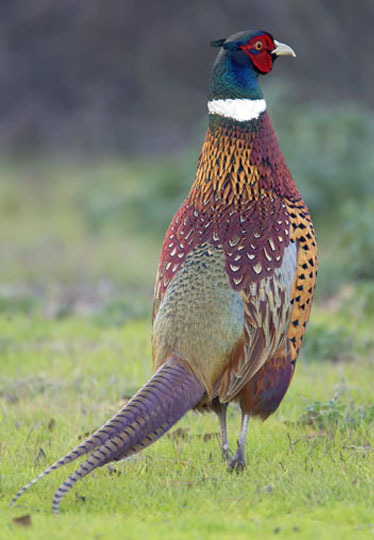 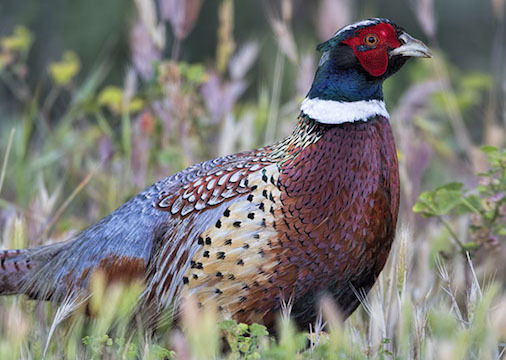 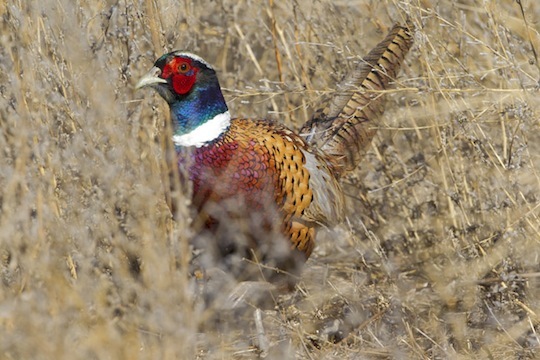 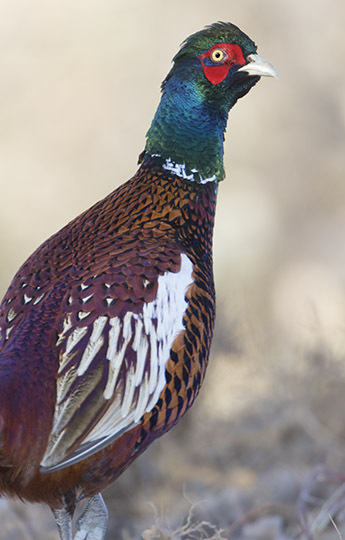 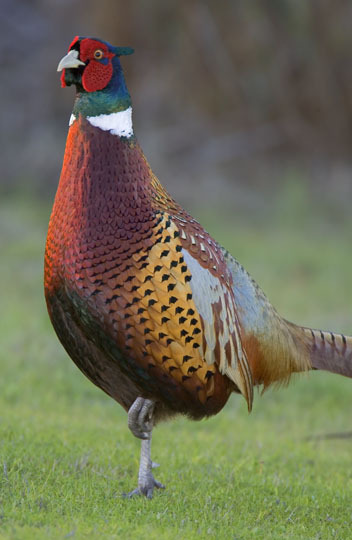 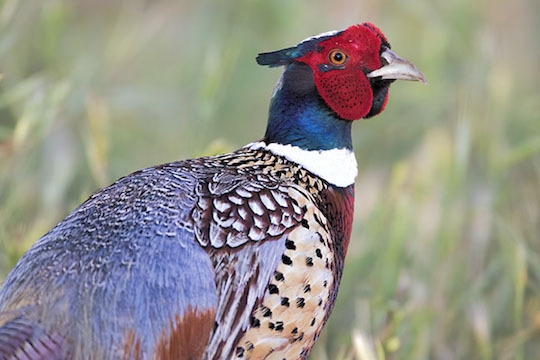 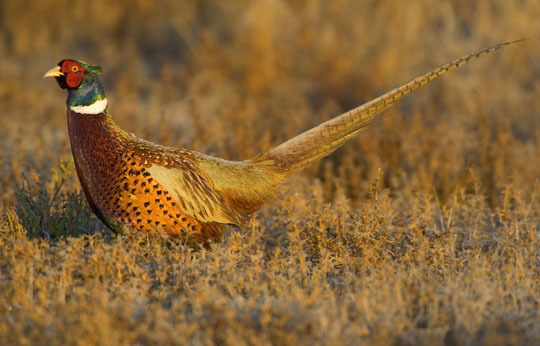 Pheasants are not native to the Western Hemisphere, but were imported and released for hunting throughout much of North America, and have successfully adapted and thrived in many regions. 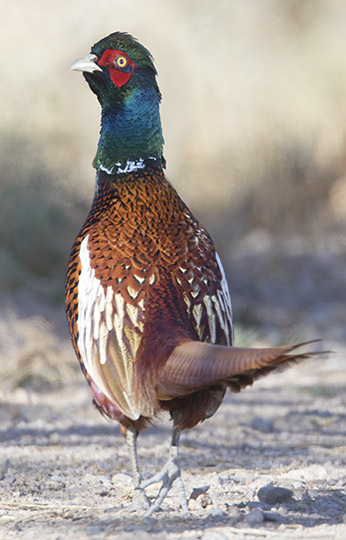 There is some color variation in males, due to releases of several subspecies. 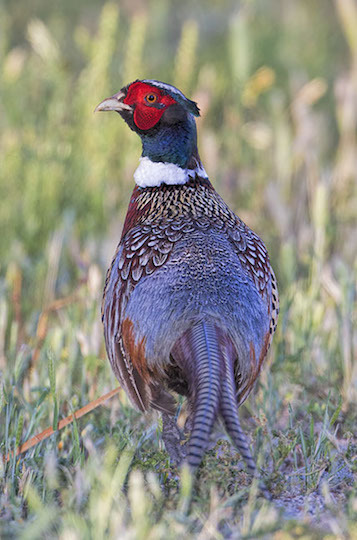 These pheasants were emerging from cover early one winter morning at the Palo Alto Baylands in California; the female was hesitant but the males were extremely bold, as they have become quite used to people and are not hunted there. 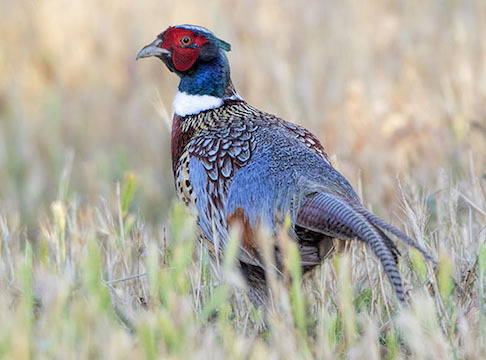 Several of the birds were at the Sacramento National Wildlife Refuge in California's Central Valley, and at the San Jacinto Wildlife Area near Riverside, California; the 'white-winged' form (from a central Asian subspecies) was at Bosque del Apache Refuge in New Mexico.